What’s all this LAB malarky? The Grumpy Photographer is here! 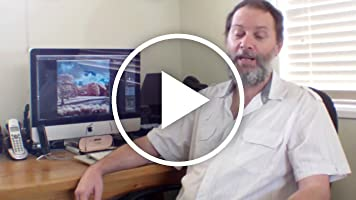 Want a better Raw file processor? Something new! Personalised greeting cards from Yours Truly! I just wanted to put this here. A new picture of cloud rolling in over the Three Sisters, in the Blue Mountains at Katoomba, NSW. Nice! Please share! Click "Specific Feeds" to subscribe to my blog. Ok, this one is a bit out of the ordinary but I thought that it was worth sharing! A friend of mine recently came across and shared a Facebook post about a lovely sounding recipe for "Spicy Whole Roasted Cauliflower", which was accompanied by a picture (below). The picture ended up being rotated, extracted from the background and had eyes added, to make a happy face that works well on *so* many other photos. The good people at CameraPro here in Brisbane, held a hands-on night with the new Pentax 645Z camera this evening, which I was lucky to be able to attend. The camera has a new CMOS sensor, replacing the CCD one in the previous model, the 645D. Whereas the 645D struggled to produce good images above ISO400, the 645Z can shoot up to an amazing ISO 204,800. Some newly processed pictures from the Warrumbungles, near Coonabarabran in New South Wales. Trying for something a bit unusual, as is my wont! Here are just a few pictures from my recent trip to outback New South Wales. I shot mostly at night, with the dark skies there providing a great opportunity for some excellent night-sky images. Combined with the historic buildings and ruins dotted about, I came back with some very satisfying pictures. Interview - Life, the Universe and Everything. Well, the book, anyway! 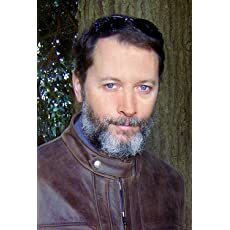 My good friend Marco Olivotto from Italy, has today posted an interview with me about my new book, on his blog. Everything you wanted to know about me and the book but didn't think to ask! He is well-qualified, as he was one of the book's three Beta-readers, who kindly gave up their time to check for errors and save me from plenty of embarrassment. Click the link above and have a look! A good, old-fashoined lens/perspective primer! For those unfamiliar with such things, here is a quick demonstration of how to use the focal length of a lens to create the best perpective and give your images the most impact for a given situation. The chessboard was an important element in the image above. These are actors in a local theatre production and the playing of chess is part of the play's content that needs to be conveyed. At last, my new book is available from Amazon! For those outside Australia, shipping is considerably cheaper. (FREE in the US)In Australia, it as still available from my website or on eBay.Sales have been good since its release in November and it has been well-received by all who have bought a copy.Do yourself a favour and have a look!You can use the Look Inside the Book feature on Amazon to see more. For anyone who's interested, I have a *vast* collection of restored historic images from the American Library of Congress on my Pixels.com site. If you haven't seen the astonishing detail possible with a large format camera before, take a look and be sure to use the zoom tool. And another. A New Year addition! I've been so busy with my book over the past six months, that I haven't had time to make any new images. Now, with some free time over the Christmas - New Year break, I've got some new stuff to show. A series of pictures that I took in 1984 at Calder Park Raceway in Melbourne of Formula Ford drivers Geoff Walters and Tomas Mezera colliding in spectacular fashion! The sequence shows the event from start to finish, with Walters' car initially riding up on the roll bar of Mezera's car, before sliding off and dropping onto his head, squashing him down into the cockpit. Another bit of history, this time for those from Brisbane. I took these pictures of the William Jolly (Grey St) Bridge, which had a chunk removed during roadworks on Coronation Drive, if my memory serves me correctly, in around 1988. All are welcome and there will be drinks and nibblies, as well as books for sale at a special price and me on hand to sign them and answer any questions you may have. 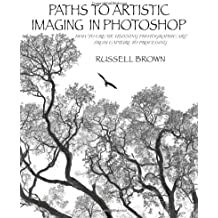 Good news on my new book, Paths to Artistic Imaging in Photoshop - it is becoming more widely available. For those in the vicinity of Eltham in Victoria, the Eltham Bookshop in Main St has stock. Also, on the southside of Brisbane, The Really Good Bookshop at Hillcrest has some too. Eumundi should follow in the near future. A new picture for today, just because I like it! Don't forget to have a look at my new book, just released last week. Just in time for Christmas for that person who wants the best from their pictures, or as a present to yourself! It's available from my website and will be on Amazon a little after Christmas. 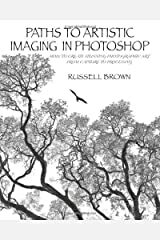 New Photoshop book is here! Just a nice new picture that I thought you might like to see! Some historic medicines and components on an old Chemist's shelf, processed in Photomatix and Photoshop from three exposures. I made a colour version too (below) and I can't really decide which I prefer, although I think if I must, I'd tend toward the mono one. I'd be interested in any thoughts you have. So, here is an image I made today and I thought that some may be interested in a brief explanation of how it came about. My colleague Bernie Dowling, getting his facts straight with the reading public. A good journalist always checks his spelling! Some more wackiness for today's picture from the wonderful world of infrared!Blast Furnace Park at Lithgow was a perfect site for this sort of stuff.As usual, the Nikon D600 with a 24mm f2.8 lens.Actually combined three frames of this with Photomatix for the result, plus a bunch of shenanigans in ACR and Photoshop. A little goodness from the world of infrared. Just a hillside in central New South Wales. A shot of my dear wife on the beach at Torquay, Victoria, late in the evening. To the upper right, you can see the Large Magellanic Cloud (a companion galaxy to our Milky Way) and the bright star at centre-left is Achernar. I showed this to the very knowledgeable Phil Plait from Bad Astronomy and he thought that the glow in the sky could be the Southern Aurora, which seems like a possibility but I can't be sure. Today's instalment. Old Loco water storage tank at Gundagai station, NSW. Paths to Artistic Imaging in Photoshop. How to Create Stunning Photographic Art From Capture to Processing.